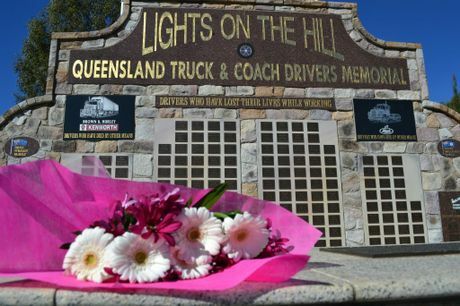 IT HAS been a long process to secure expansion for the Lights On The Hill (LOTH) Trucking Memorial at Gatton, but president Gary Simpson said the charity organisation was finally there. 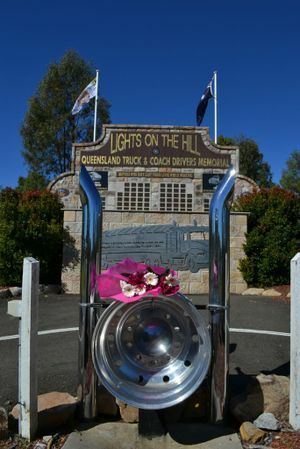 He met with Big Rigs two weeks ago just after a meeting with the Lake Apex Community Advisory Committee and said both organisations had come to an agreement that two new block walls would be created at the sides of the existing memorial to house more names of fallen road transport drivers. It's an issue that has caused the new LOTH committee some grief as rumours that money was not being spent on the memorial have been circulated since they took over running the organisation. Simpson said he had nothing to hide and invited anyone who wanted to see the books to contact the committee. He said original plans by past president Kathy White to extend the wall into a full size truck caused alarm with the Lake Apex Community Advisory Committee. But the new plan to build two new one-metre high walls and keep using the sandstone blocks should see the memorial with enough space for another 20 years of names. When he took over as president, Simpson also had the task of making sure the memorial could keep the name Lights On The Hill. 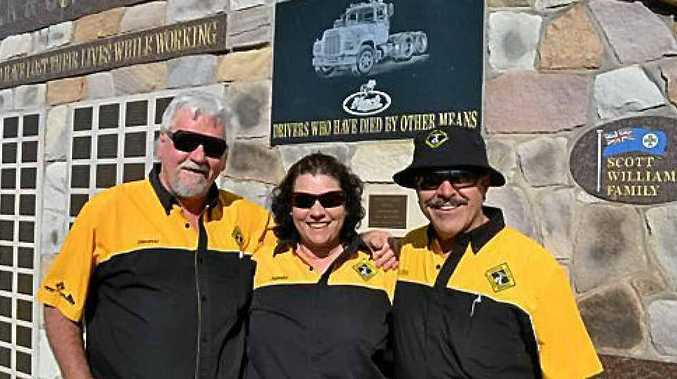 He worked with Slim Dusty's wife, who wanted to make sure the name would remain only with the Gatton memorial and she has since given permission for LOTH to keep producing merchandise with the name. Now the committee is preparing for the 10th annual convoy on the last Saturday of February and would like to do things a little differently. "We want to try and get more sponsors for bands, rather than get cash," he said. "I would like to acknowledge Kathy's idea and the work she put in. Full credit to her, it just went a little off track." 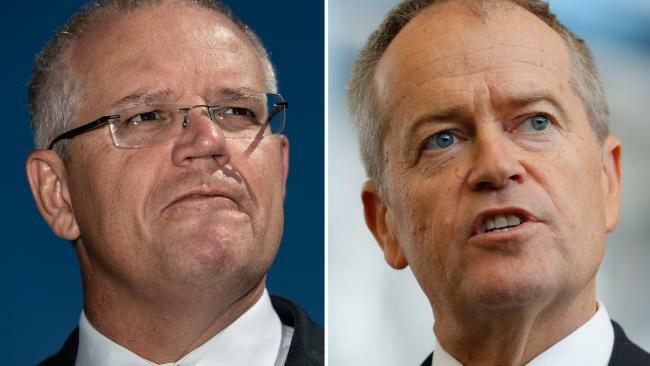 Other allegations that have been flying about include that the charity is not going to help families. But Simpson said the committee members were not counsellors and there were existing organisations that did that work. He said LOTH now had a partnership with Trans-Help and TRUST and in the future wanted to donate to the organisations. "Our aim is to keep the memorial alive. Fundraising efforts will be for the running of LOTH. We want to leave the past in the past move ahead and extend the memorial. "In the future we want to raise enough money to pay for the plaques on the wall." For more information see the lights on the hill website.